When deciding on a drug, it is important to weigh the risks against the benefits. Commonly used back pain medications such as NSAIDs have known side effects that can result in serious stomach problems. Enteric-coated medication may potentially help avoid this problem. 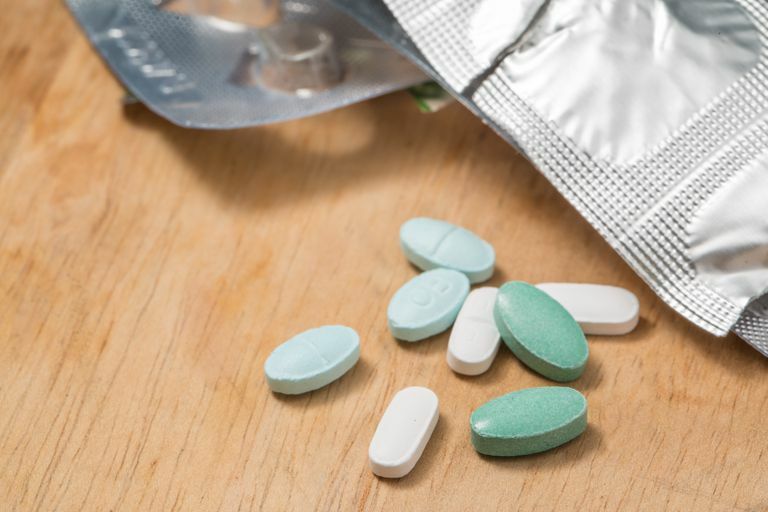 The American College of Gastroenterology says the use of NSAIDs for pain relief, musculoskeletal disorders, and arthritis, while valuable, has been limited based on an association this class of medication has with ulcers and other upper GI tract injuries. Along with these gastrointestinal problems, the organization says, complications including hemorrhage and perforation often occur. Authors of a 2012 study that was published in the journal Therapeutic Advances in Musculoskeletal Disease report that ulcers have been demonstrated in 15% - 30% of regular NSAID users. The American College of Gastroenterology says that up to 25% of people who take NSAIDs on a regular basis will develop ulcers, or will bleed or perforate in the GI tract. Such events lead to over 100,000 hospital admissions in the U.S every year. Not only that, they say, but these medical events result in between 7,000 and 10,000 U.S. deaths annually. One way the pharmaceutical industry addresses this potential complication is by coating the pills. Enteric-coated pain medication is covered with special ingredients that are said to prevent irritation of the stomach lining and usually come in tablet or capsule form. Enteric-coated drugs do their work by keeping the drug's active ingredient from releasing until it has gone all the way through the stomach, and arrives in the small intestine. The word enteric means "relating to the intestine". By the way, cutting, crushing or breaking an enteric-coated medication before taking it negates its protective effect and exposes the stomach to potential irritation. Dieleman, L. Is Cutting Your Pills a Safe Way to Save Money? Consumer Health Corporation website. 2001. Stedman's Medical Dictionary. 28th Edition. Lippincott, Williams & Wilkins. 2006. Baltimore, Md.